In an effort to join the fight against childhood cancer, Pat’s King of Steaks Guest Chef Series will feature Master Mixologist Owen Rothstein’s lemon-inspired sandwich to benefit Alex’s Lemonade Stand Foundation on Thursday, June 9 from 11 AM – 4 PM. The event will also feature a lemonade stand hosted by the local Ventresca family. Pat’s King of Steaks Guest Chef Series brings special cheesesteaks from celebrity chefs for great causes. Guest chef Owen Rothstein will cook up a delicious and mildly healthy, lemon pepper ribeye tossed with pan-roasted sunchokes, emerald kale and tart, dried cherries topped with Tavoliere cheese whiz. The “wit” option comes with shallot-lemon confit. Each cheesesteak is $10, which will be matched by Pat’s King of Steaks to benefit ALSF. Culinary excellence provided by Chef Dr. Neil Gottlieb. Philanthropic generosity provided by Frankie Olivieri. 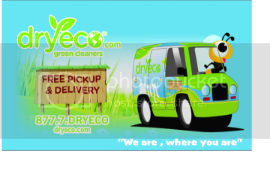 Members of the City Representative’s Office will be in attendance. Each cheesesteak is $10, which will be matched by Pat’s King of Steaks. On June 11, some of the Garden State’s finest food trucks will go head to head with the Keystone State’s most creative mobile food eateries in the inaugural Food Truck Border Brawl at SteelStacks. The event, which takes place from noon-7 p.m., will feature eight food trucks from the New Jersey Food Truck Association going up against eight food trucks from the Greater Lehigh Valley Mobile Food Alliance and Philadelphia Mobile Food Association, with the winning truck taking home the “Best Overall Food Truck” Award and earning bragging rights for his or her state for the entire year. 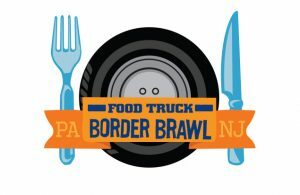 Tickets for the Food Truck Border Brawl, which takes place at PNC Plaza at SteelStacks, are $8 in advance and $10 day of the event and go on sale today, 10 a.m., at www.steelstacks.org and 610-332-3378. A special VIP Pass, which includes a Mu sikfest 2016 Mug and early access to the Border Brawl from 11 a.m.-noon to enjoy all of the food trucks without the crowds, is $21 in advance and $23 day of the event. All proceeds from Border Brawl ticket sales will go to support the nonprofit ArtsQuest’s free music, arts and education programming for the region, including Musikfest, the largest free music festival in the nation, set for Aug. 5-14. 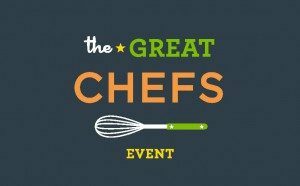 On Tuesday, June 14, more than 45 of the best chefs from across the country and around the world will convene in Philadelphia for the 11th annual Great Chefs Event hosted by the Vetri Family restaurants and Vetri Community Partnership. 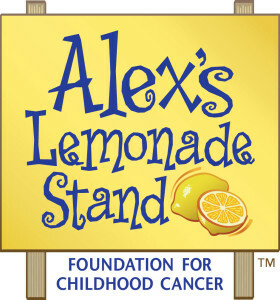 The event will benefit Alex’s Lemonade Stand Foundation and Vetri Community Partnership. More than 1,200 guests will gather from 6-9 p.m. at the beautiful Urban Outfitters, Inc.’s corporate campus in Philadelphia’s Navy Yard for the culinary event of the year. The party will continue into the night at the equally in-demand After Party at Lo Spiedo for chefs, sponsors and VIP ticketholders. General admission and VIP tickets are currently on sale at www.vetricommunity.org.